Drilling a hole in the ground can be complicated. Especially when the driller is a stealth drone working undetected in unknown, far-off terrain. And when it’s for the U.S. Department of Defense, it has to work every time. 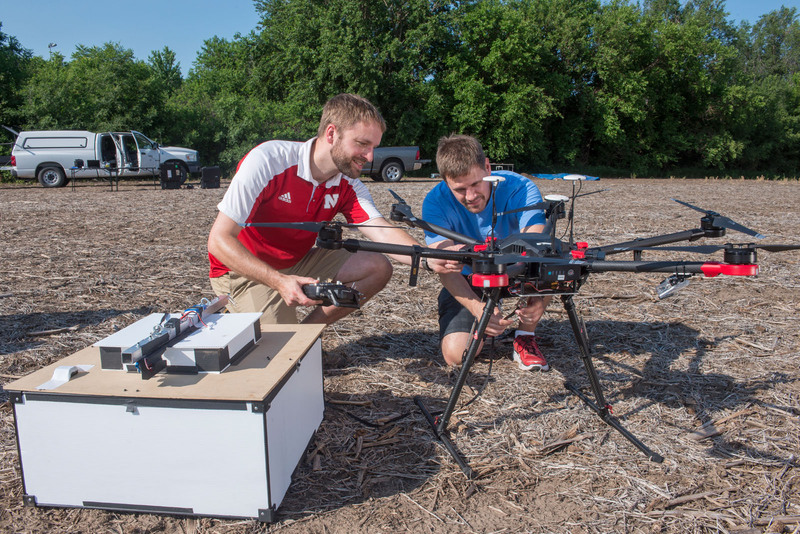 The Nebraska Intelligent MoBile Unmanned Systems, or NIMBUS, Lab is developing a drone system capable of delivering underground sensors to remote or hostile locations. 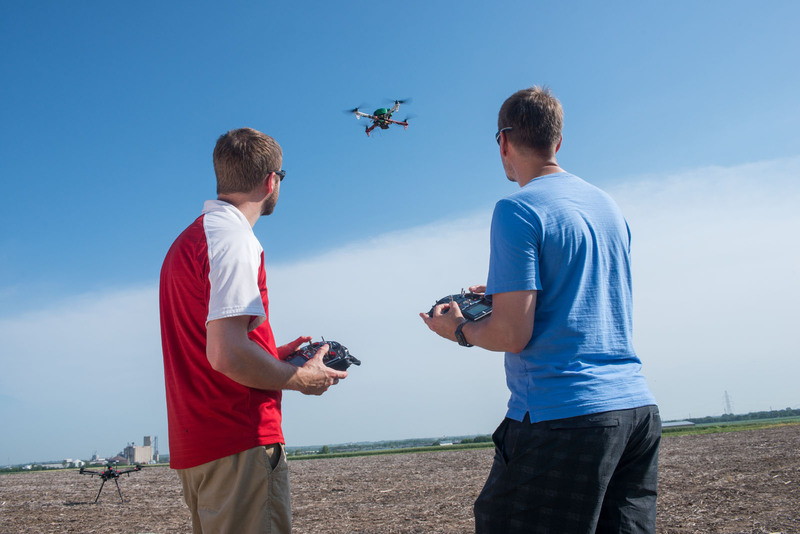 It’s a partnership with the University of Nebraska’s National Strategic Research Institute. 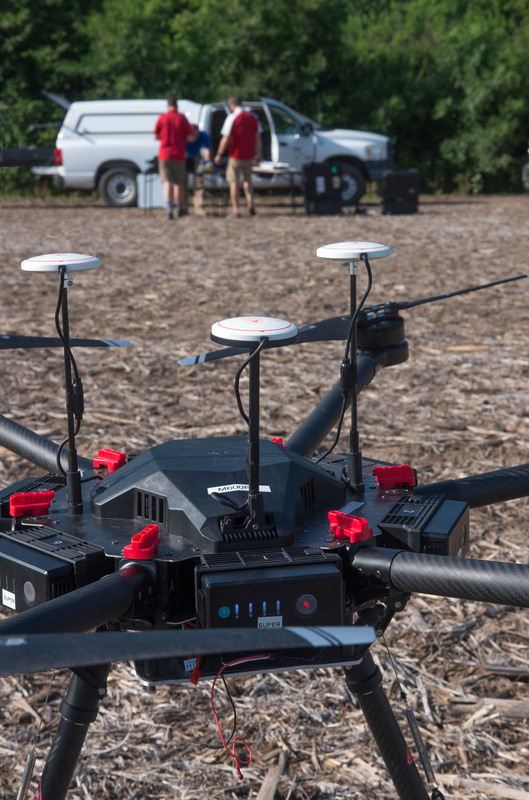 Project leader Carrick Detweiler’s team aims to help the U.S. military monitor enemy weapon caches and perimeters by sending drones to plant sensors. The sensors will wirelessly communicate movement, increasing surveillance capabilities and reducing risks to soldiers. One major challenge was developing a drone and payload system light enough for long-distance travel yet capable of drilling, which requires downward force. 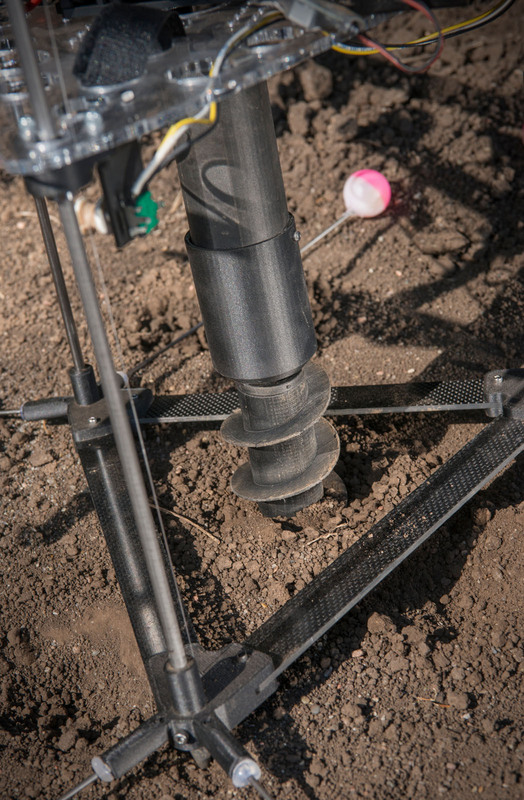 Clever engineering and optimized materials overcame a drone prone to spinning instead of drilling. Another challenge: The drone must be launched midair, such as from a larger drone or airplane. Researchers designed a system that can deploy and shed a parachute, spread its rotors and complete the mission. Stealth is also key. His team is working on a camouflaged exterior and less noticeable flight path, among other approaches. Finally, failure is not an option. If the drilling drone gets stuck, it’s irretrievable and exposed. The team developed algorithms to abort or try a new spot within seconds if success is unlikely. Other applications include deploying remote sensors to monitor agricultural fields or detect environmental hazards in soil and water. 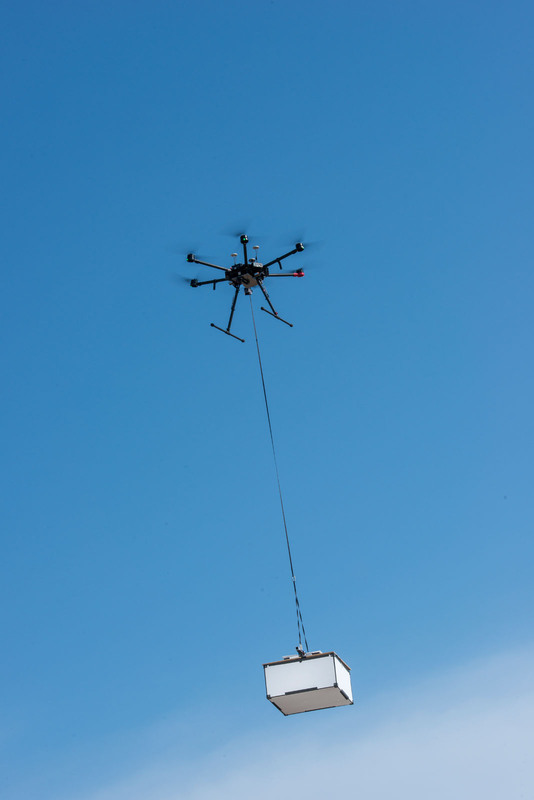 A box containing a smaller drone, equipped with a parachute, will detach midair.